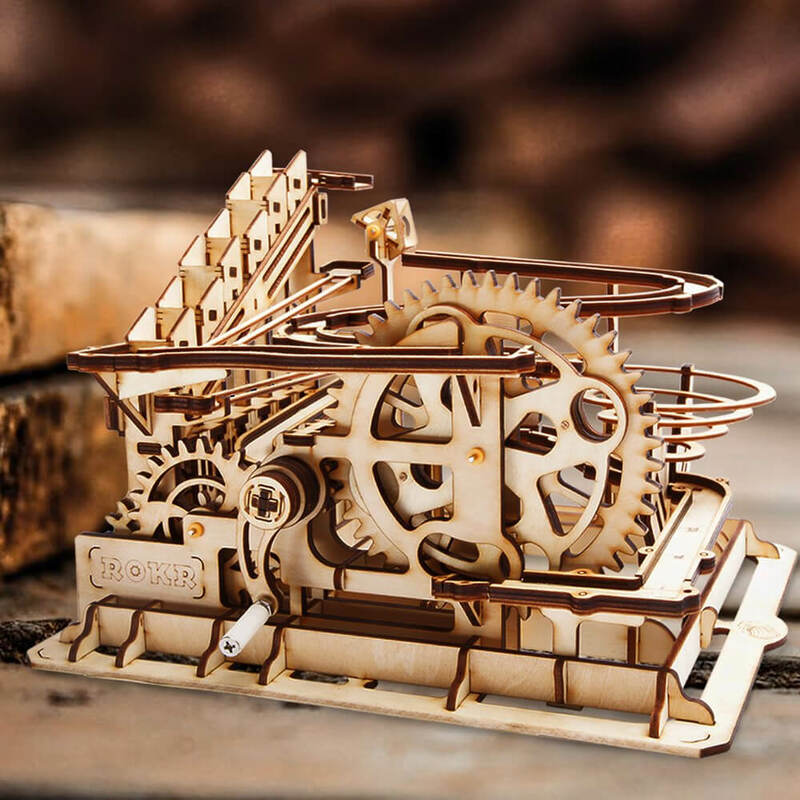 Robotime Mechanical Gears Waterwheel | Build a spectacular 3D structure! Build a spectacular 3D structure! Get your critical thinking skills rolling! 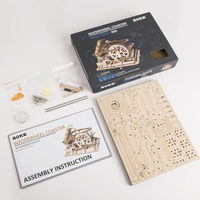 Assemble your very own functional marble roller-coaster with this Mechanical Gears Waterwheel kit from Robotime! Lock together the pre-cut, numbered plywood pieces as you follow the illustrated instructions and press them from the flat-packed backing. 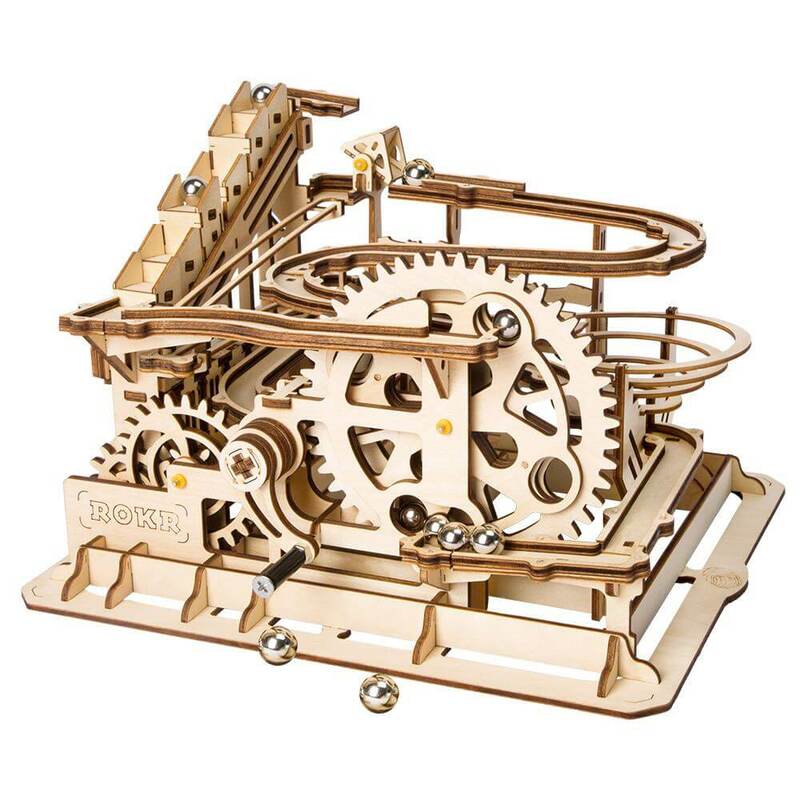 Once your model is complete, you can enjoy a fully functioning and visually appealing desktop marble run for your enjoyment! 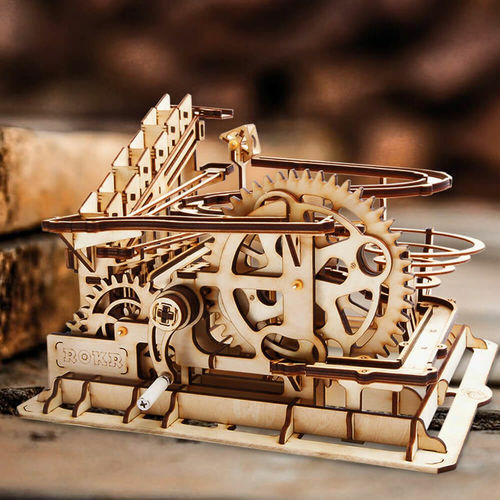 Crank the handle to fire up the gears and watch your waterwheel carry the marbles up to the top, to release them back down the track! 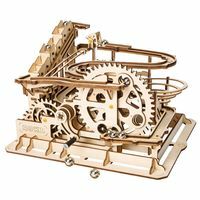 Your Robotime Mechanical Gears Waterwheel kit includes: 238 pieces including 5 x pre-cut wood sheets, wood glue, sandpaper, 10 metal marbles and all the spacers, nuts and shafts required. Estimated build time: 3-5 hours (rated 4 out of 5 for difficulty).